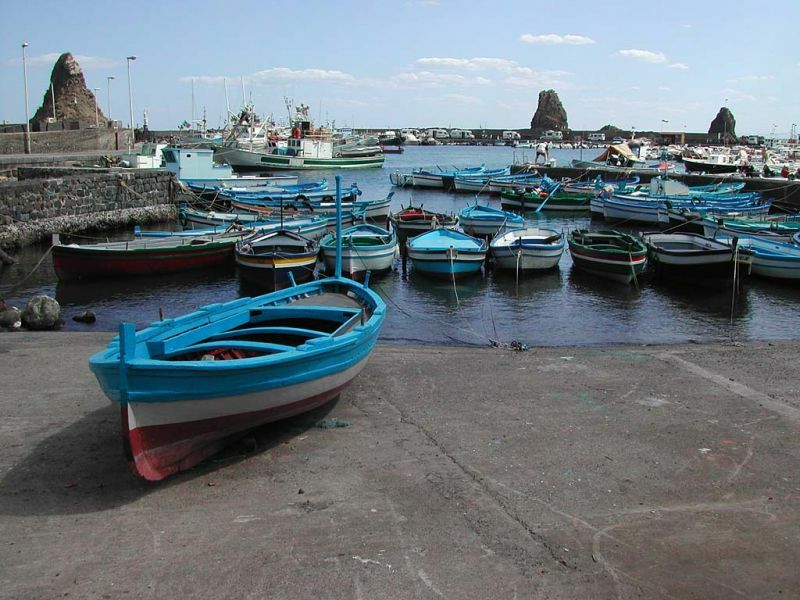 This fishing village is a delight for seafood and fish lovers. Its coast (Picture 1 and 2) is lined with dramatic basalt rocks emerging from the sea and causing anyone but the locals to avoid taking a dip although they do so in a perfectly comfortable and carefree way. 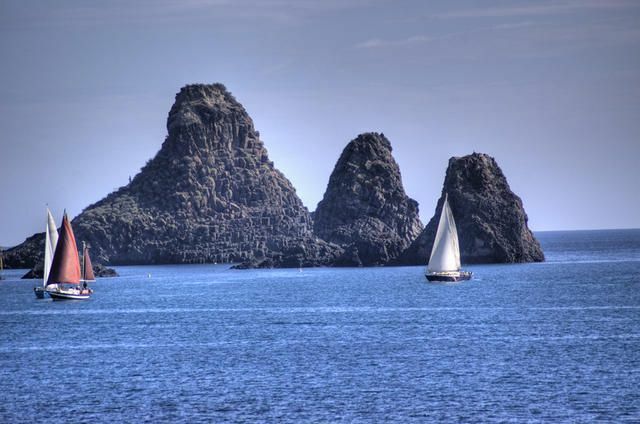 According to legends the Cyclops threw these giant rocks Ulysses. 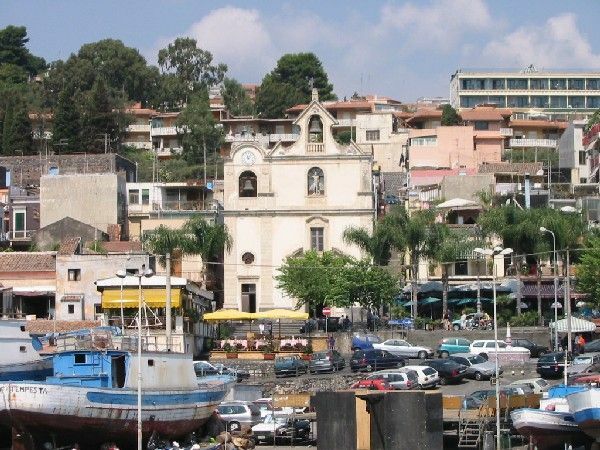 This tranquil seafront village offers tranquility, sunbathing platforms and a pretty square, Piazza Bambini del Mondo. La Terrazza has always been a respected place among the residents for its good pizza, aperitivo and the good views. Ristorante il Pontile has mastered the preparation of all kinds of fish. Found on the beach front lined with modern bars. On Lungomare Ciclopi is Café de Mar where you can enjoy a drink or bite to eat under the shade of the palms in the garden. On the same street is Scivola for a lively disco in the summer.